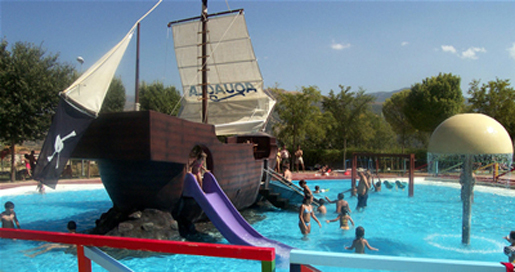 Water Parks, Aquaola, Granada, Andalucia, Aqua Parks and Entertainment in Andalucia, Southern Spain. 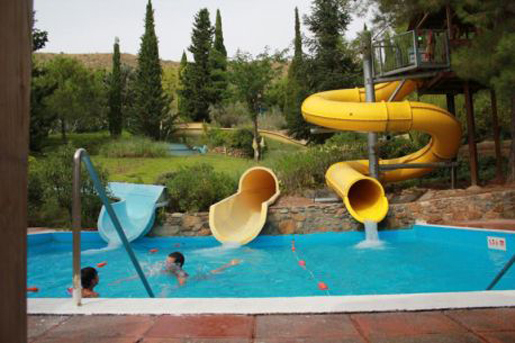 The smallest waterpark in Granada, located near the provincial capital itself, with just nine rides, but this is enough to keep all ages cooled, refreshed and entertained, including tiny tots who have a pirate ship complete with various water slides. This park has a picnic area, as well as cafes and ice-cream kiosks. Pirate ship for the kids at Aquaola.